A new Sunderland charity is looking for book donations as it works to improve literacy in the region. Sunderland Literacy Aid (SLA) was registered earlier this year in an attempt to positively impact literacy levels in the Sunderland area. Its aims include saving unwanted texts from landfill sites and overseeing their redistribution into to the local community. 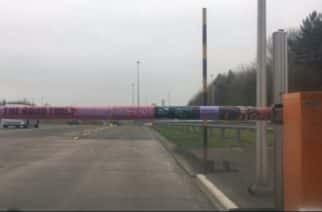 Caitlin Constantine, director of SLA, said: “Sunderland Literacy Aid has started more or less as a reactionary mindset to the well-known literacy issue in the North East. “Because we are based in Sunderland, we have decided to support the local community through diverse workshops and donations in educational resources. “We believe that in order to see an increase in the area’s literacy rate, grassroots community organisations have to take the first steps, and the council, ideally, will follow. The organisation has already begun working with other local charities in order to effect positive change. Caitlin said: “We have helped Centrepoint (Sunderland branch) with teaching materials for their tutors, such as textbooks, notebooks, pens, pencils, markers. Caitlin believes, when the SLA’s charity work is fully underway, it can have a significant impact on the area: “We aim to help schools, libraries, care homes, orphanages, charities that work with vulnerable people from all walks of life, prisons, hospitals, clinics, and wherever else we’re needed. 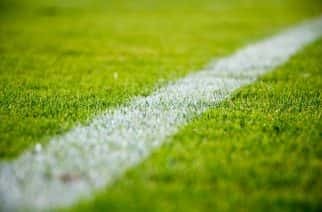 The new charity has had considerable support from the wider community to help get it off the ground. 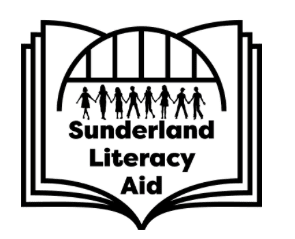 More details on the Sunderland Literacy Aid, including how you can donate your unwanted books, can be found on the website. Because this is our first appearance in the press, we would like to send out our gratitude to Noreen Russell, who’s sacrificed her time countless of times to help with the collection of the books and whatnot, Dan Makaveli and Laura Foster for their continuous support on so many levels, Helen Limon for donating over a hundred copies of some of the books she’s authored, Emma Naile from St Aidan’s, Alison Sood from Kepier School, Beverley Hughes from Farringdon Community Academy, and Evelyn Clegg for all of their donations in books, Alice Holliday from FIRST Face to Face for an amazing support with placement students to help us with a variety of things, Steven Martin from DC Services for giving us storage space where to keep our donations, Julie Charlton from NEECC for using her network to help us with a multitude of things, David Pearson from Newcastle Building Society for starting a collection point for donations inside their Sunderland branch, and others. We’re hoping to add The University of Sunderland to our Partners and Supports section, as well as others who need support with donations or have educational resources to donate. Keep it local, keep it Sunderland, let’s do it together.